Our accommodation support lodges are independent living facilities that provide a home away from home for those who need to travel to access cancer treatment. Available in Brisbane, Townsville, Cairns, Toowoomba and Rockhampton, our lodges offer comfortable self-contained units and studio-style apartments close to major hospitals and treatment facilities. The full accommodation cost is covered if you are eligible for Queensland Government’s Patient Travel Subsidy Scheme (PTSS). Watch Jan’s story here to learn more about our accommodation lodges. Where are the lodges located? For lodge addresses and contact details see our locations page. 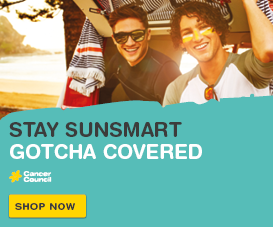 How much does it cost to stay at a Cancer Council lodge? Staying in our accommodation lodges is free if you qualify for the Queensland Government’s Patient Travel Subsidy Scheme (PTSS).Accommodation fees, which are calculated on a per person per night basis, are within the daily allowance of the PTSS. There are no out-of-pocket expenses, other than any costs the subsidy does not cover. Special consideration is given to patients/families experiencing financial difficulties or those who do not qualify for the PTSS allowance. For bookings or enquiries please phone the relevant lodge Monday to Friday, 9am to 5pm (excluding public holidays). Addresses and contact details are available on our locations page. 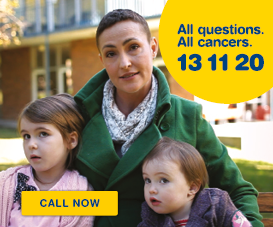 Alternatively, you can call Cancer Council on 13 11 20. What if the lodge is unavailable? If the lodges are full booked, Cancer Council 13 11 20 can suggest affordable and PTSS approved accommodation options near your treatment facility. How will I travel around? Courtesy transport services are available on-site at Brisbane, Cairns, Townsville and Toowoomba lodges. All of our lodges across the state are able to support residents in accessing and arranging local transport services during their stay. Find out more about transport. What facilities do the lodges have? A recreational area, complete with barbecue facilities, books, DVDs, magazines and children’s toys. What support is offered during my stay? When staying in our Cancer Council Lodges you will have access to a Lodge Supervisor who will assist with practical support and a Cancer Support Coordinator who will provide social and emotional support. They will ensure that your stay is as pleasant and comfortable as possible. You will also have access to information and education sessions throughout your stay. Topics include managing diagnosis and treatment, and understanding the needs of a person receiving treatment. The lodges also host regular social events, and volunteer-run shopping trips on weekdays. 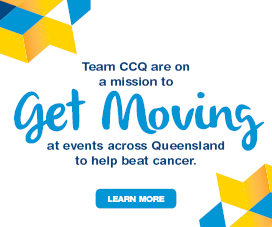 To protect the health of all residents, staff and visitors, all buildings and grounds of Cancer Council Queensland lodges are 100 per cent smoke-free. Assistance in quitting smoking is available to residents during their stay and can be accessed by speaking with your lodge team.